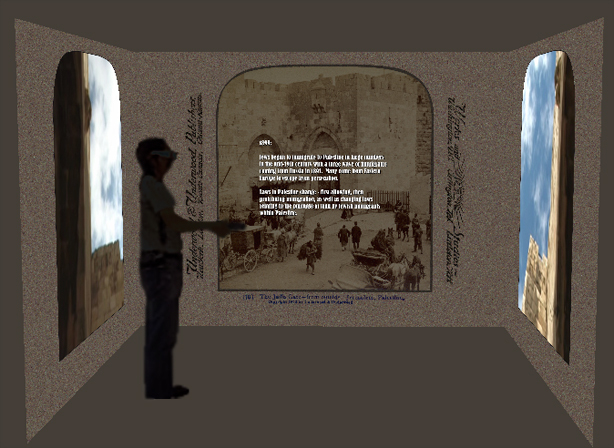 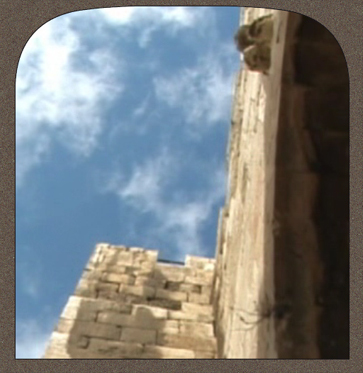 3-Dimensional space combining 19th and 21st century technology allowing viewers to shift between past and present — the sites as recorded within the 19th century Jerusalem stereograms and now, more than 100 years later. 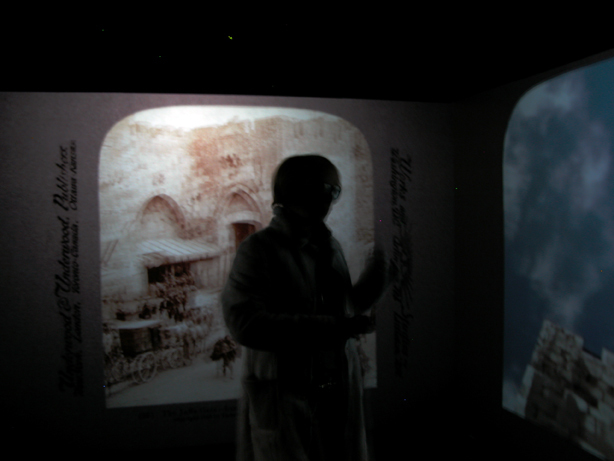 Events taking place the year the stereogram was taken and those taking place 100 years later are embedded within the images, allowing viewers to slide between the culture, history, politics and everyday life then and now. 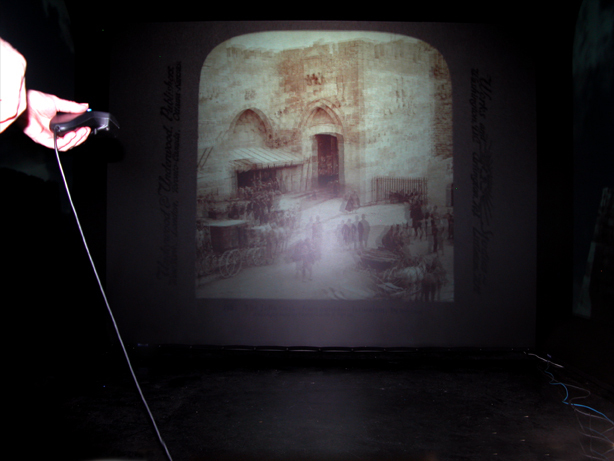 The viewers’ physical immersion with the 3-dimensional space and their control over what is seen and experienced through the spatial tracking system links the viewer directly to historical and contemporary streams of information, linking the viewers’ body and subjectivity directly to politics, cultural conflicts and histories of the area. 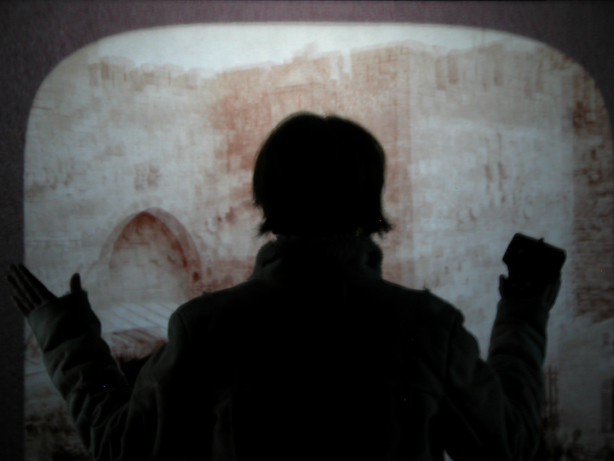 The idea is to make more of the details of the historical and political forces shaping these sites available to viewers’ experiences, nuances which are as much a part of these places as the architecture itself. 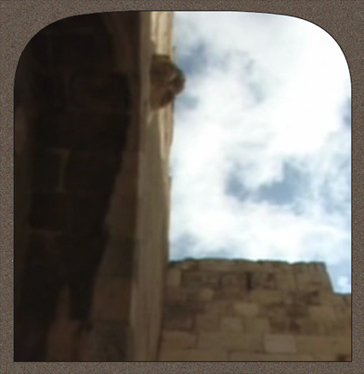 Video: Original footage taken of monument and cultural sites in Jerusalem matching corresponding 19th century stereogram views. 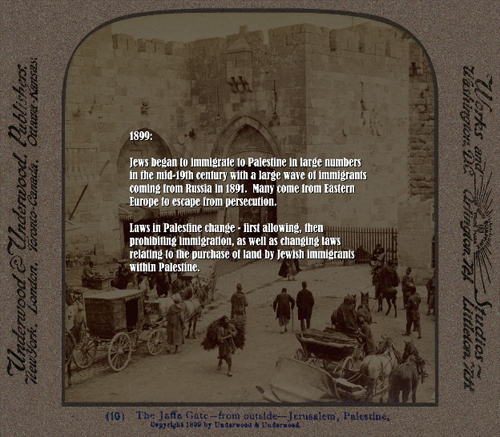 Text: Historical events taking place the year of the stereogram and 100 years later; selections from The Jew as Pariah by Hannah Arendt. 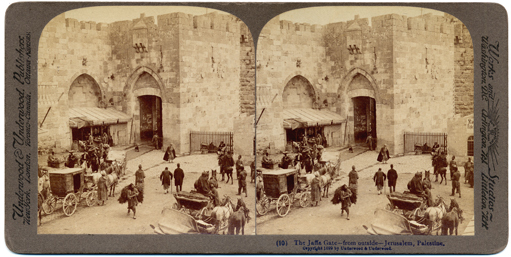 Stereogram Images: From Underwood and Underwood Publishers.